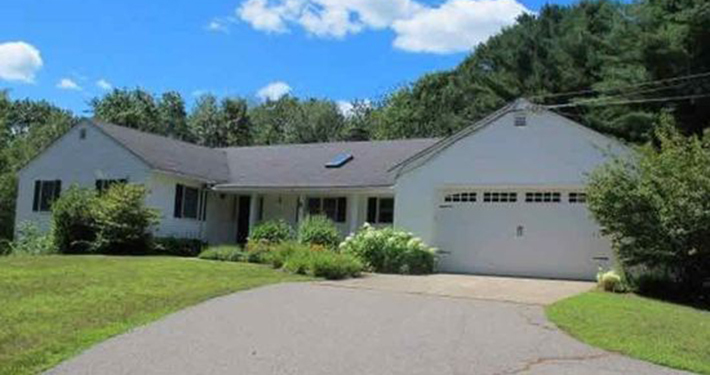 Problem: The homeowner at this beautiful home in Barrington enjoys A/C in the summer, but was becoming too old to lug window air conditioners around the house every spring and fall. Solution: Dual-zone Mitsubishi Electric heat pump and cooling system. Like many homeowners both young and old, this one had become sick and tired of lugging cumbersome window A/C units around the home every spring and fall. 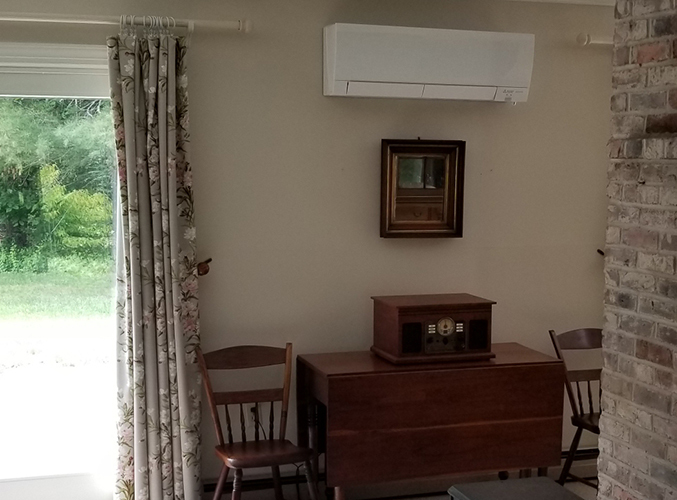 Due to the floor plan, we were able to install a single ductless head to condition the main living area, and a single ductless head in the master suite. Our installers positioned the master bedroom unit to circulate cool air out into the hallway and other bedrooms. Although the extra bedrooms do not have a dedicated cooling source, the airflow and indirect dehumidification has helped those rooms to stay more comfortable during heat waves. To minimize impact on the beautiful back patio, our expert installers kept the line set enclosure tucked nice and neat – almost out of sight. If you have questions about how to implement a Mitsubishi Electric solution in your home, please contact us! 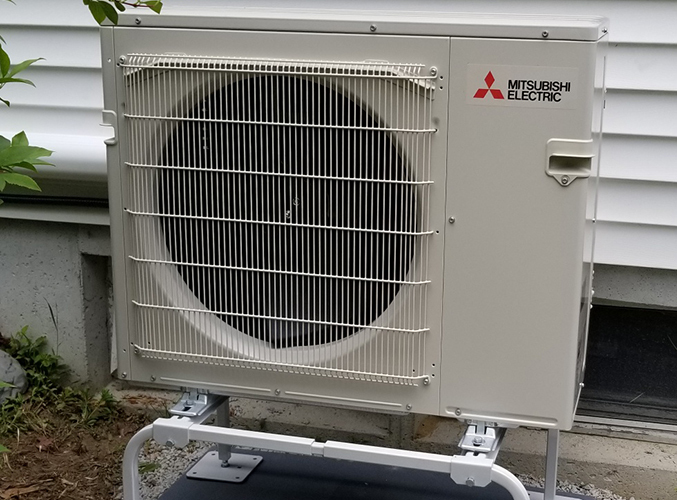 30,000 BTU Mitsubishi MXZ Heat Pump Condenser. East Coast HVAC Naughty or Nice Contest Winner Update Is Electric Heat Efficient?